I saw a gator catch and eat a young ibis once. That was pretty impressive. Here's something that tops it. Found via the forums at gun site The High Road. Shots taken by a guy working for South Carolina's Department of Natural Resources. Kinda cool in a disturbing kind of way. I'm from Louisiana and we eat gators. I guess the circle of life comes around for them too. I've eaten gator. It's pretty good. Not bad at all. We eat pretty anything back home. 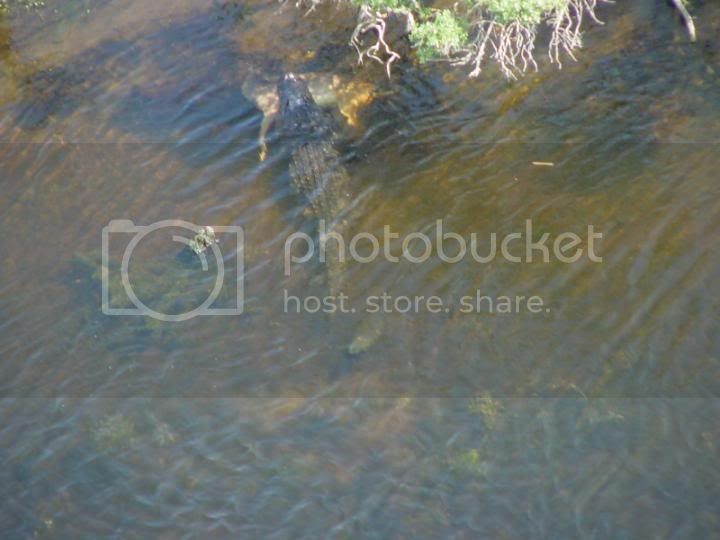 How dangerous are gators in the US to humans, anyway? I mean, I'm guessing not as dangerous as, say, the Saltwater Crocodile in Australia (and ... Africa too? Can't remember), but there's still a whole margin of dangerousness in there. Crocs are aggressive, and will eat you in a heartbeat. Gators are more shy, and avoid people if possible. I've gone kayaking on small river channels with friends, and can report that in gator-infested areas, as soon as the first man in your group rounds the bend you hear a crashing sound and a huge splash as a gator that was sunning itself on the bank tears though the underbrush and dives down to the bottom. It can be a little unnerving, but they pretty much hide. On the other hand, they will attack and kill targets of opportunity -- an ME I know had a case of a boy who was eaten when he went swimming late at night (while his folks were disposing of fish guts in the water), and the director of the local botanical gardens lost half his arm to a gator when he was cleaning out some drains. 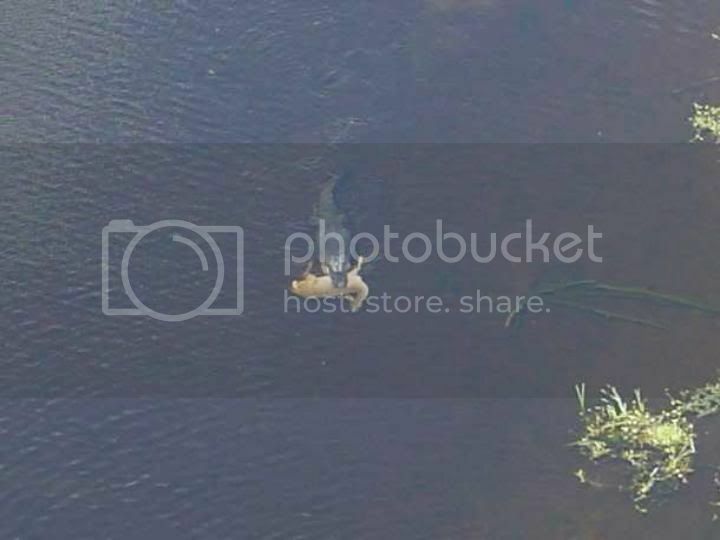 A few years back a gator actually set up shop in a water hazard and killed some poor old lady who was golfing. That's sad. All of it, that is, but especially the old lady. Well, where I am from they pretty much leave you alone (if he is not very hungry, that is). I know in Florida there is a problem with them surfacing in back yards. We never had that problem since they stay mostly in the bayous. Its funny though, my in-laws are from Califnoria and were terrified when they visited us in La. My sister-in-law actually thought alligators roamed the streets.